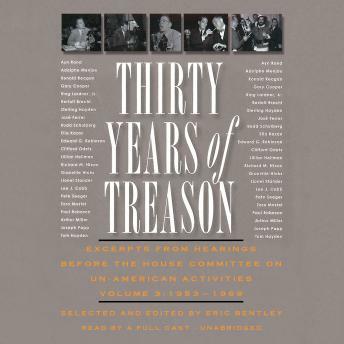 The testimony that the author has gleaned for this book from the thirty-year record of the House Un-American Activities Committee focuses on HUAC’s treatment of artists, intellectuals, and performers. This highly readable and absorbing collection of significant excerpts from the hearings shows with painful clarity how HUAC grew from a panel that investigated possible subversive activities in a “dignified” manner to a huge, unrelenting accusatory finger from which almost no one was safe. Thirty Years of Treason serves as a warning for the future and creates living history from the documentary record.